Man cannot live by fajitas or enchiladas alone. Every good Mexican dish needs a good contrast of flavours and textures and this is the perfect side dish for the Mexican main event. Put the rice in a bowl, cover with boiling water and leave for 30 minutes. Drain and leave in a sieve for about 1 hour, until completely dry. Heat the oil in a large frying pan over a low heat, and then stir in the rice grains, and ensure they are well coated in the oil. Add the onion, garlic and chillies and then cook for 4 minutes until the onion becomes transparent and the rice begins to colour slightly. Add the tomatoes, stock and season with lots of salt and black pepper. Cover with a tight fitting lid and simmer over a very low heat for 20 minutes or until all the liquid has been absorbed. Add the peas 5 minutes before the end of the cooking. 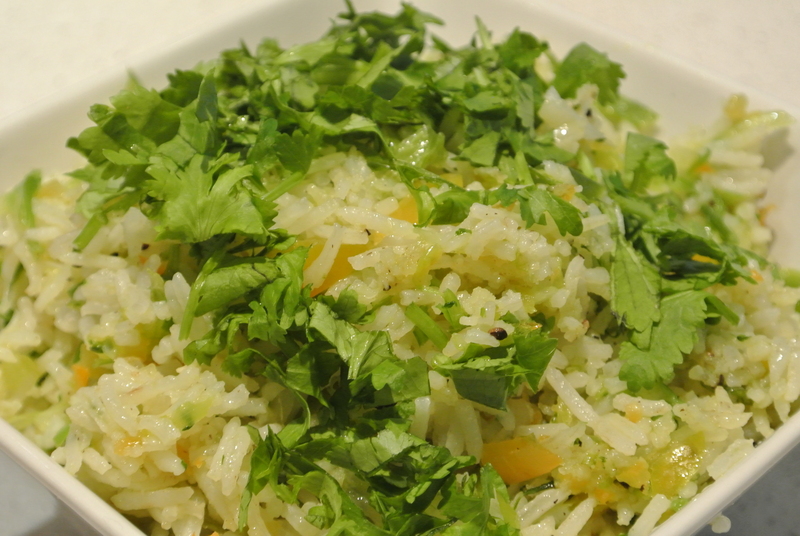 Transfer to a warmed serving dish and garnish with finely chopped fresh coriander.